Terrorist attacks, social unrest, natural disasters or whatever it is that endangers you and your family’s safety should be regarded as great preparation. With all the things that happen in the world today, no one can really be too complacent about it. Protecting you and your family’s safety is important, so having a secure and safe haven is an absolute must. One way to do this is by knowing how to build an underground bunker and make your own refuge. Unexpected things can happen anytime. Hurricanes and tornadoes, as well as biological and chemical weapons, can destroy lives and properties. 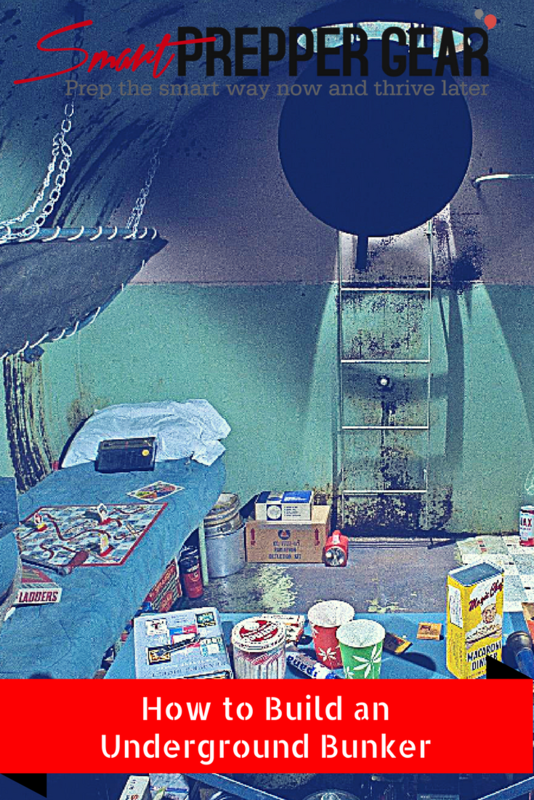 An underground bunker offers a secure location, especially during emergencies. The idea of making an underground bunker is great for survivalist enthusiasts and an absolute necessity for the experienced ones. However, building a bunker is not as easy as it may sound. To many people, building an underground bunker can seem to be extreme work. Indeed, it requires hard work and much planning. However, it also offers peace of mind knowing that you and your loved ones will have a safe place to go when the unexpected happens. To help obtain an idea of what you need, here is a guide on how to build an underground bunker. No matter what you are building, you must get a permit. That way the whole construction process is in accordance with the law of your state. You don’t want to face unwanted law suits and law regulations. So obtaining a permit to build an underground bunker is of great importance. There might be water or gas pipes buried in your backyard, so it must be checked thoroughly and legally. You must be allowed to dig a huge hole in your backyard. Secure a permit before you start digging. Important Tip: Make sure the location you choose for your bunker is away from metro areas or separate from your urban home. It might also be a good idea to ensure that the only people who know your bunker exists are those who’ll take shelter with you. Whether you are a survivalist and no matter what you’re up to, the first thing you need is a plan. 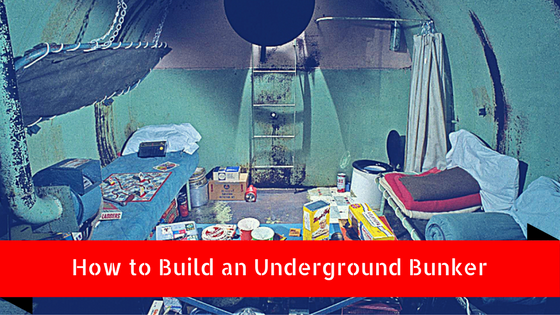 Knowing how to build an underground bunker begins with a strategic plan. You need to work out all the detail before you start digging. Never dig a huge hole without having a vision of how you want it to function. There are also some important factors to consider when making a plan. You need to determine the kind of soil in the area where you will make a bunker. Then you need to know if you are going to dig through the concrete to build your bunker. Some areas have concrete foundation, so digging much will require more planning, work and time. Remember that it is always a good idea to build a bit distant from your home, so you also wound not worry about breaking through your home’s concrete foundation, coming across any gas installations or stumbling upon electrical installations. These could happen and be really dangerous. You also need to consider the weather conditions in your area before building underground bunker. Important Tip: If you’re not skillful when it comes to planning construction projects, it might be a great idea to hire someone who can help you out with the process and make a plan of your electrical installation. A professional can also help you determine whether building an underground bunker under your house is a smart idea or not. If you have secured a permit to build a bunker, you have a plan and are familiar with all the zone requirements, then you are all set for digging. The use of a specialized machinery is a good idea if you want to speed up the process, otherwise the digging process might be longer than you wanted to. However, if you do not have the needed machines to expedite the process, you can always use the old method and use a shovel. If you don’t have your own equipment, you can also rent the equipment or hire someone who has the right machinery and tools to help you out. Keep in mind that as you’re digging, the soil is well compacted. This means that the more you dig, the more soil will be out from the ground. Be sure to keep the soil far from the hole. Just save it for later when you will need it. When digging a hole, you also need to make sure that the hole should match your construction and plan. Upon digging, you can move on with the building of your bunker’s structure. You can build the structure by your own hands. However, if you want to speed up the entire process and if you’re planning on building just a small underground bunker, you might want to buy a large shipping crate to meet your needs. Always make sure that the hole you have dug is large enough for the crate to fit, but not too big so the soil would not collide. You will again require a heavy machinery in order to put your structure or the crate into the hole. But if you don’t want to buy a crate, you can always build the structure on your own. In this case, you will have to do more careful planning because the materials used to build a bunker is vital. To get things right, you need to understand the basics on how to build an underground bunker with regards to the materials required for making the structure on your own. The Structure Materials. The most common material for building the structure is wood. However, if you opt for wood materials, you need to understand the wood will surely decompose, especially if it isn’t previously treated. Also, although the wood is treated to be permanent, a wooden construction is not always perfect for an underground construction. This is because the toxins are released slowly into the soil. The wood material is not strong enough to support any underground building. In addition, it is not as durable and long lasting as concrete materials. If you are building an underground bunker, concrete is perhaps the best option to consider for the structure. Concrete is not only cost-efficient, but also long lasting and robust. It is durable enough to support any underground construction. Once you have identified the right material that matches your needs, you must begin building your bunker by starting with the floor foundation. You can then move further onto the walls for your bunker. It can be useful to build passages from your home to the underground bunker, so you’ll have an alternative way to access the underground bunker when you need it. Make sure that the passages are safe and will give everyone good protection they need should any emergencies happen. The use of scaffolding poles is a solid way to support the passages. However, avoid using the poles to support the ceilings because they’re not really safe for supporting large rooms. It may cause the ceiling to collapse. After all, underground bunkers are built to provide you and your loved ones a safe and secure haven when any calamities or natural disasters occur. Thus, safety is the number one consideration when building a bunker. Your number one concern when building an underground bunker is the bad weather. If your bunker isn’t secured to be water proof, rain is a problem you need to deal with. You need to make sure that water would not come barking into your underground bunker. You can utilize some sort of quality waterproof sheet that can be easily placed over the bunker’s ceiling and protect it from water. Important Tip: Your underground bunker should not be built in the middle of the open. Rather, it must be covered up with trees or bushes. You can plant bushes or trees all over the area, including the entrance of the bunker. Now that you already know how to build an underground bunker, it’s time to add the survival features. Keep in mind that there’s really no surviving without water, so it is one of the most important things you need to secure in the bunker. You can make a water supply system that leads to the bunker for easy and safe water accessibility once the emergency situations occur. Including life straws and water purifiers is a wonderful backup option to have inside the bunker. Planning out for food supplies and placing a three-day emergency kit around is also an incredible idea. You also need to make sure that there is a proper ventilation that will meet your needs. You’ll also need to find a way to bring electricity to the underground bunker. By following these tips on how to build an underground bunker, you’ll be at peace knowing that you and your loved ones are safe no matter what happens. Feel free to leave a comment below if you any questions or feedback. Your feedback helps the community prepare the smart way now so that we can thrive later. Thank you to the Smart Prepper Club for the support to make this post possible! Be sure to check it out as you will have access to prepper checklists, cheat sheets, tools, monthly giveaways, books and much more!